I’ve been getting a lot of questions lately from folks who have a vehicle that’s a part of GM’s Ignition Switch Recall, asking when the parts would be available to fix their vehicle. I wish the answer was as straightforward as the question, however after discussing the issue with LaFontaine Service Director, Todd McCallum, the answer is a bit more complicated. 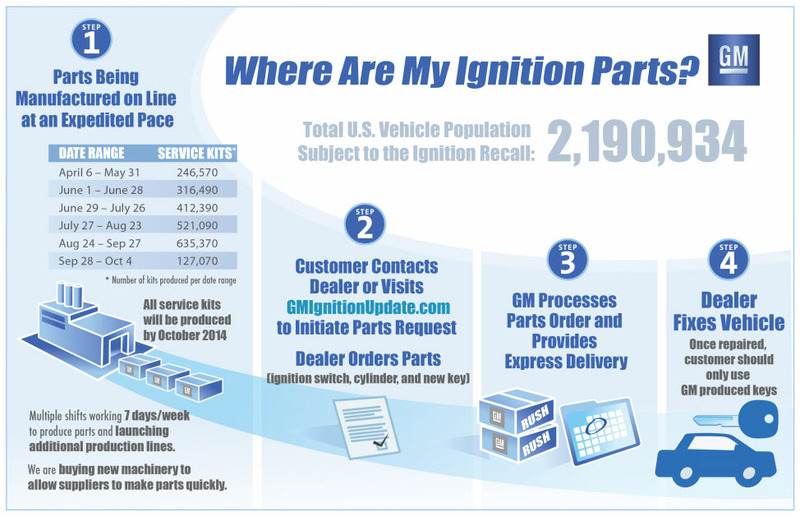 Some of the confusion is based on how the GM Ignition Switch Recall is different from a typical manufacturer recall. A manufacturer announces a recall for a particular vehicle or vehicles. Anticipating what it will take to address the recall the manufacturer ensures parts will be available. Customers with affected vehicles receive a letter stating the recall. At the same time, Dealerships begin to receive the parts for the recall so they’re on hand. Customers then can visit their local dealership and have the recall performed in a timely manner. Because of its size, scope and lack of parts availability, the GM Ignition Switch Recall isn’t following this typical timeline. GM has announced the recall. Letters have been sent to customers with affected vehicles. A customer MUST contact a GM dealership to confirm their vehicle is indeed a part of the recall. Once the VIN# is confirmed by the dealership, the necessary parts are ordered for that specific vehicle. When the parts arrive, the customers brings in their vehicle to complete the recall. If you haven’t contacted a GM dealership yet about your recalled vehicle, make sure you have your VIN# handy and give us a call today at (877) 997-0012. We’ll be able to confirm over the phone if your vehicle is a part of the recall and get the parts ordered that are specific to your vehicle. The next logical question is: once the parts are ordered, how long before they arrive at the dealership? Again, there isn’t a clear and concise answer, however GM has ramped up production of the parts and is operating seven days a week to produce the parts needed for all the recalled vehicles. 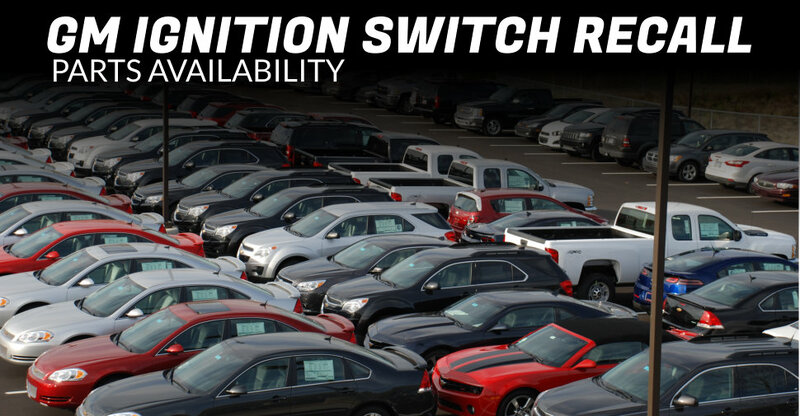 If you have more questions that aren’t answered here, be sure to check out our GM Ignition Switch Recall FAQ, visit GmIgnitionUpdate.com or post them in the comments section below.